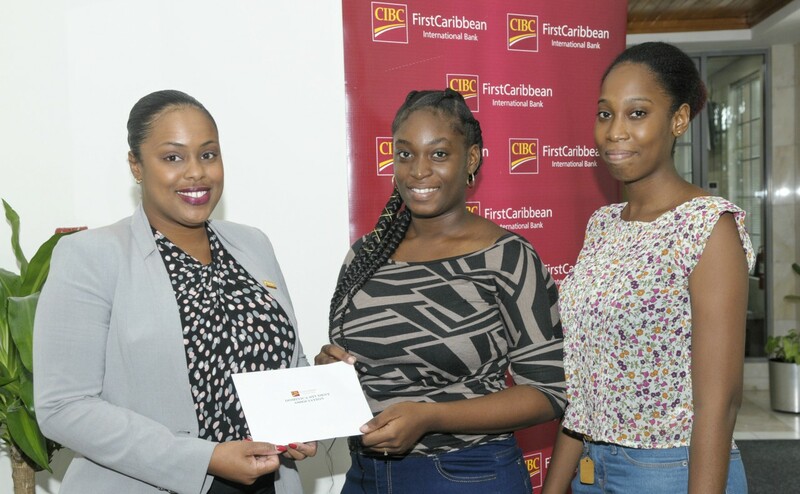 CIBC FirstCaribbean International Bank is helping some of Barbados' youngest citizens develop a little faster and in a delightful way. Through their Adopt-A-Cause programme, the Bank has donated a set of tricycles and more to be used by the students of the Eden Lodge Nursery School. "Tricycles help children develop hand and foot coordination, balance and motor skills and allows them do so while having fun." This was the message from Principal of the Eden Lodge Nursery School, Rose-Claire Blades as she accepted the donation of bikes from some staff members of CIBC FirstCaribbean International Bank. 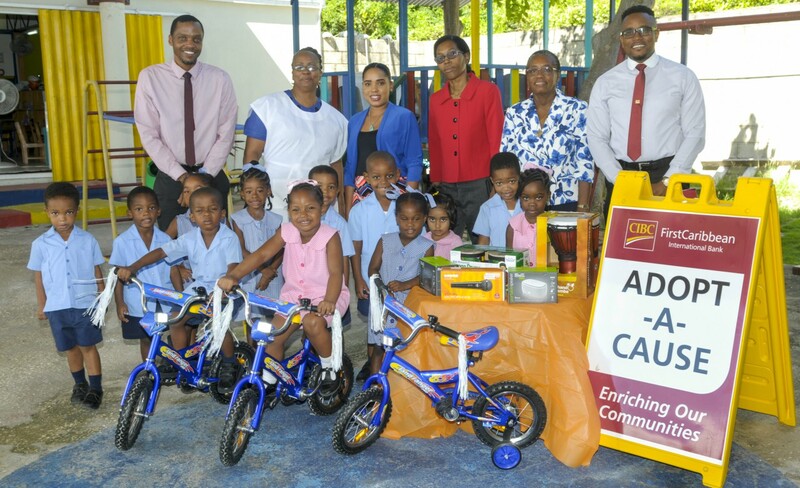 The tricycles and other gifts including a portable Bluetooth speaker, microphone and a kid’s bongo set for the school’s media centre were presented by CIBC FirstCaribbean’s Cash Management & Trade Unit as part of the bank’s community outreach programme, Adopt-A-Cause. During the presentation, the unit’s staff spent time interacting with the three-year-old and four-year-old children and teaching them to ride. Blades pointed out that as children learn to ride they develop confidence which was an important aspect of their development. 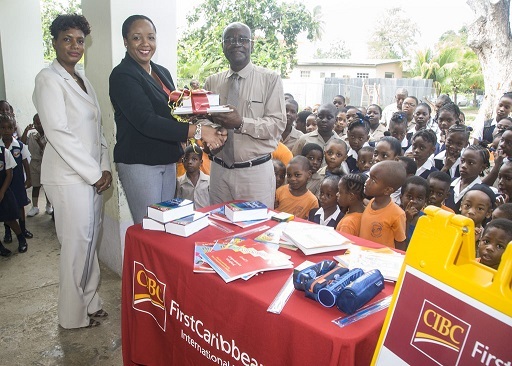 She, therefore, expressed gratitude to CIBC FirstCaribbean for its generosity, noting that the bank had been very supportive of the school and other organisations in the community over the years. In response, Kerry Jordan, Manager, Trade Finance, said that the Government school reached out to the bank for help with the updating of its media and outdoor equipment and the Cash Management Unit considered the request worthy of a positive response given the importance of early childhood development. 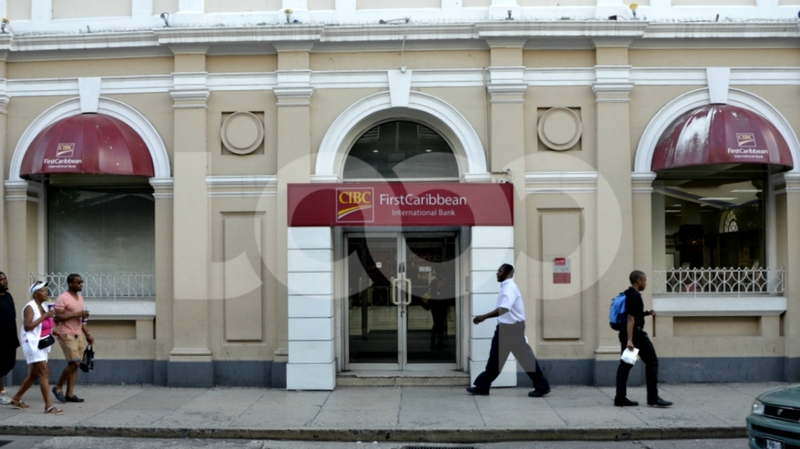 Jordan added that the bank was happy to assist the school, which was one of the CIBC FirstCaribbean’s neighbours as it is located within close proximity of the bank’s head office as well as its flagship branch at Warrens, St. Michael.